RANDOMM Men’s Fellowship at St Michaels’ is under new management! Have you ever wondered what the acronym RANDOMM meant? Well it used to be ‘Rarely and Never Decisively Organised Men’s Meeting’, but it is now the ‘Regularly and Now Decisively Organised Men’s Meeting’! We aim to meet at least six times a year and we include activities covering Social, Sports, Good Works and Spiritual events. So, whose invited? All men at St Michaels’, husbands/partners of the women of St Michael’s and male friends of ours that we would love to see attending St Michael’s. We aim to organise events that would suit a wide range of interests and abilities. We have lots of good ideas and would love to discuss them with you, with the aim to produce a calendar of events. 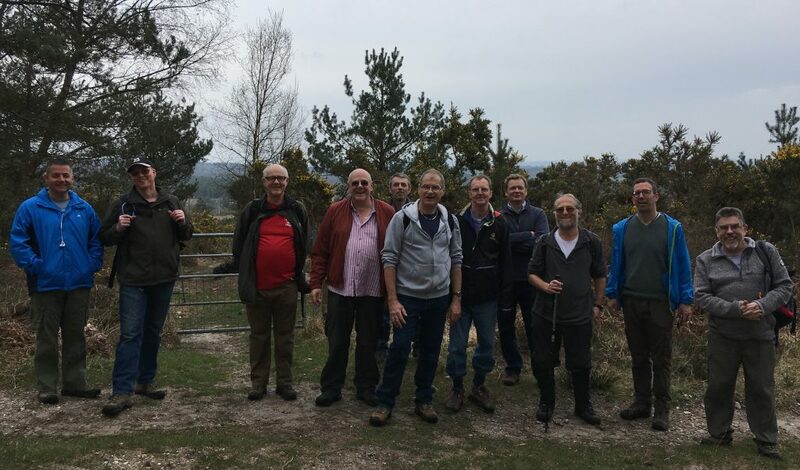 Our first event was a walk from Verwood to Alderholt for a pub meal at the Churchill Arms. 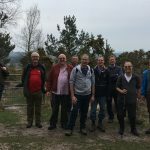 We walked over St Stephens castle hill and down the other side, where we got fantastic sunset views over Cranborne Chase and beyond. Some men also joined us at the pub, it was a memorable evening! If you are interested in joining the group, please get in touch via the Parish Office.